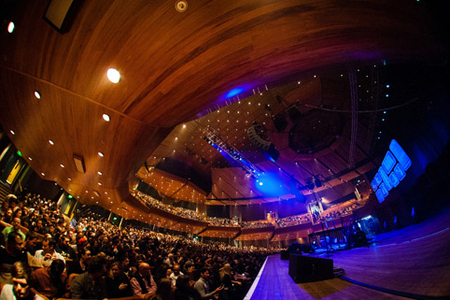 One of New Zealand's premier concert halls, the Michael Fowler Centre Auditorium reflects sound evenly throughout the room. Click here to read more about Michael Fowler's accessibility options. Michael Fowler Centre is also featured on the website 'BeAccessible', click here to read more.